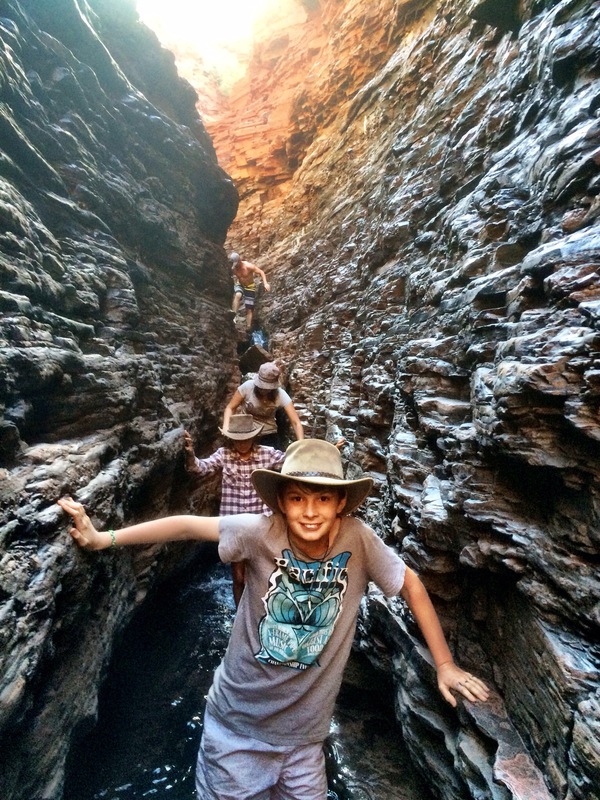 We’re on our way to Karajini National Park in the Pilbara. 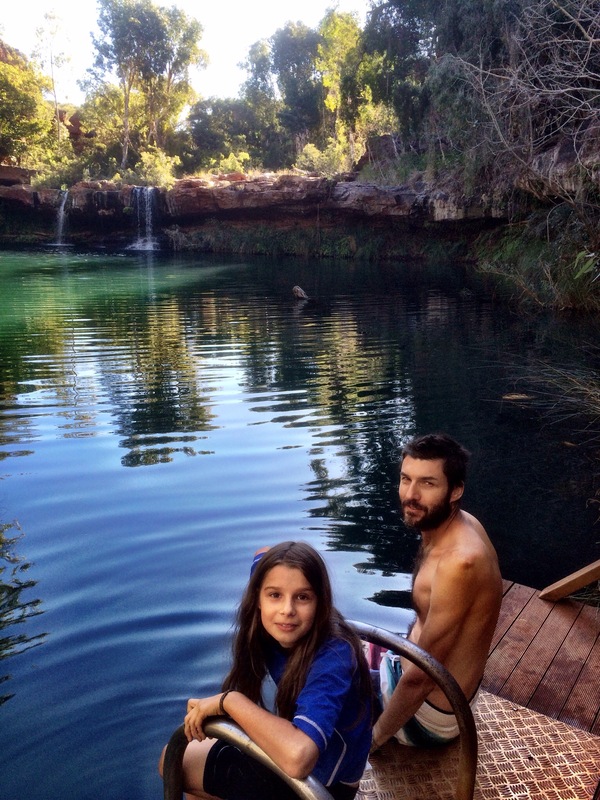 We score a really nice spot, set up the tent and head to one of the local gorges. 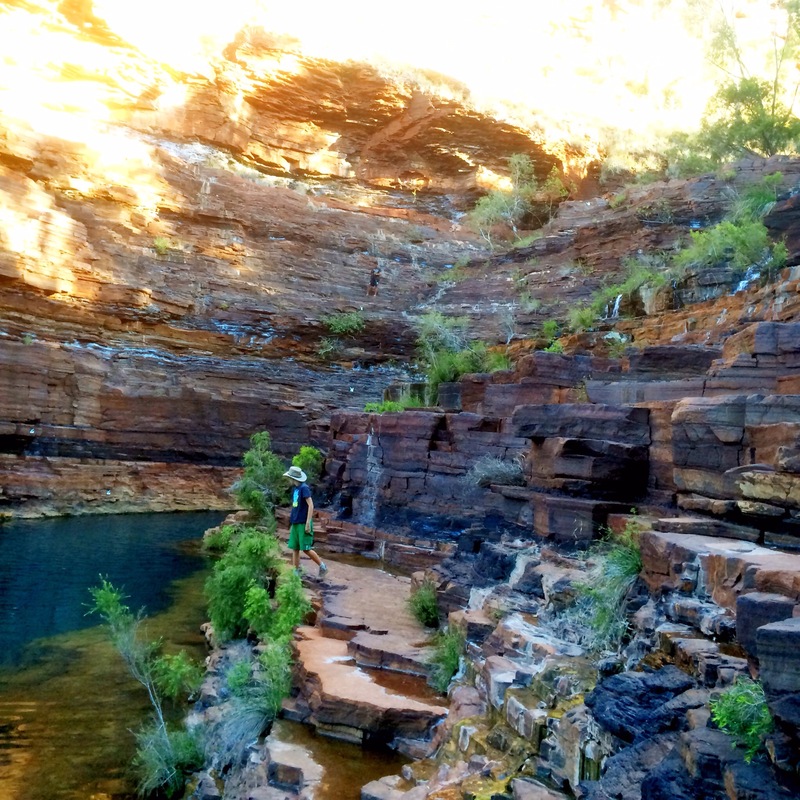 But my first experience of Karajini is an unexpected one. A woman has slipped on some rocks and sustained a suspected broken hip. So I become part of the team helping the ambo’s and SES to get the stretchered woman back out of the gorge. We learn later she was flown out to Perth. Life is fragile. After that we go and have a swim at Fern Pool which apparently has the warmest water in the National Park. But just to say it was freezing. 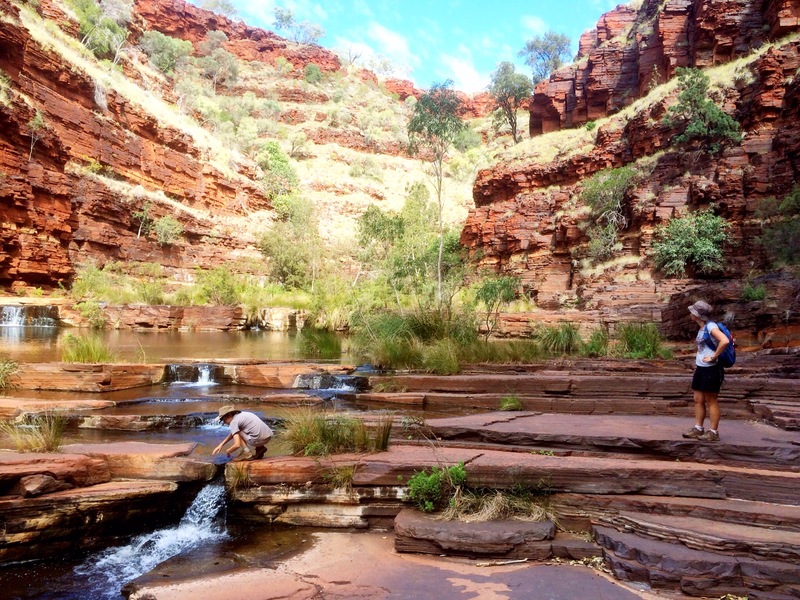 We also go to Fortescue Falls. These stones are where the woman slipped. 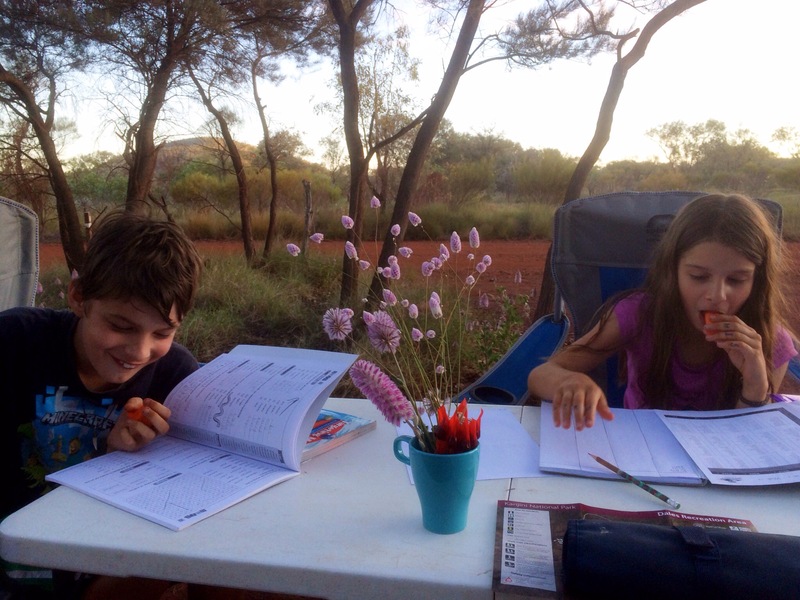 In the arvo is some school work time. The ratio of people we meet on this trip is about 5:1, Victorians to everyone else. 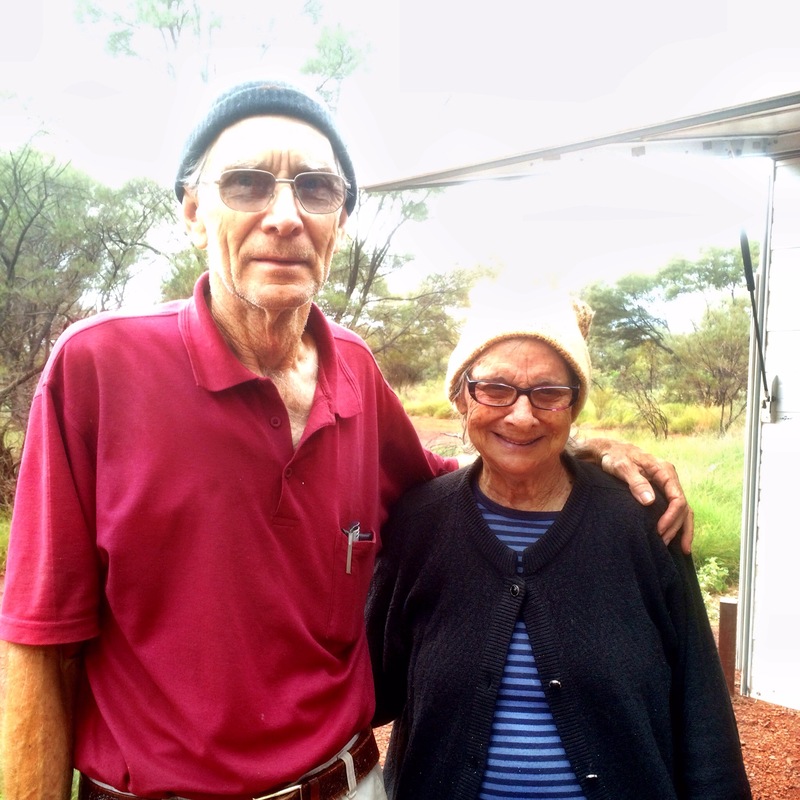 But here at Karajini we have a couple from Brisbane, Graham and Bev who are from Brisbane. Graham and Bev are deaf so over the next couple of nights we chat to Graham through a mix of hand gestures, notes, and scribbling in the dirt. The kids are amazed. Noah wants to pretend to be deaf the next morning and only write notes to us. It’s so serene for a while until he gives up. Before the kids go to bed they do a concert for us with different skits. They’ve done a few concerts for us. It’s part creative outlet, part good way to go to bed later. The next day we gorge out on Gorges. 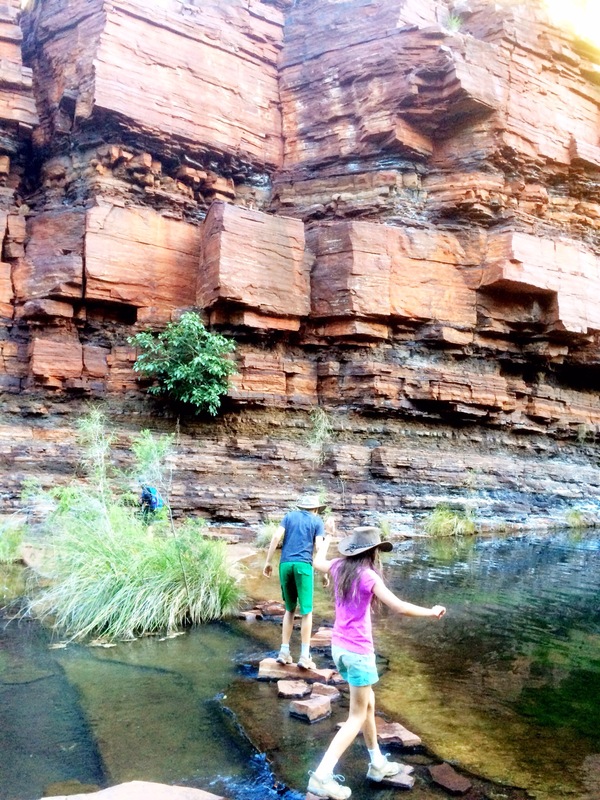 Dales Gorge. 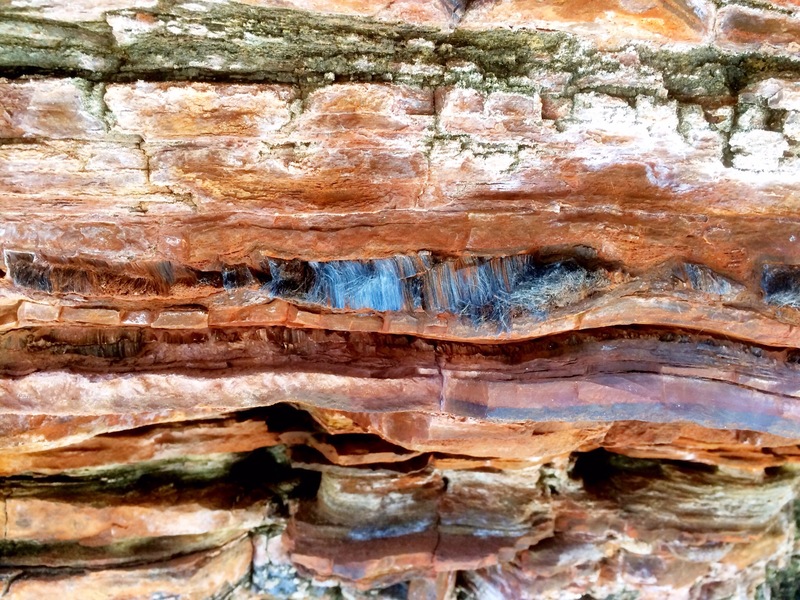 We learn about naturally occurring Blue Asbestos. There’s warning signs around not to touch it. 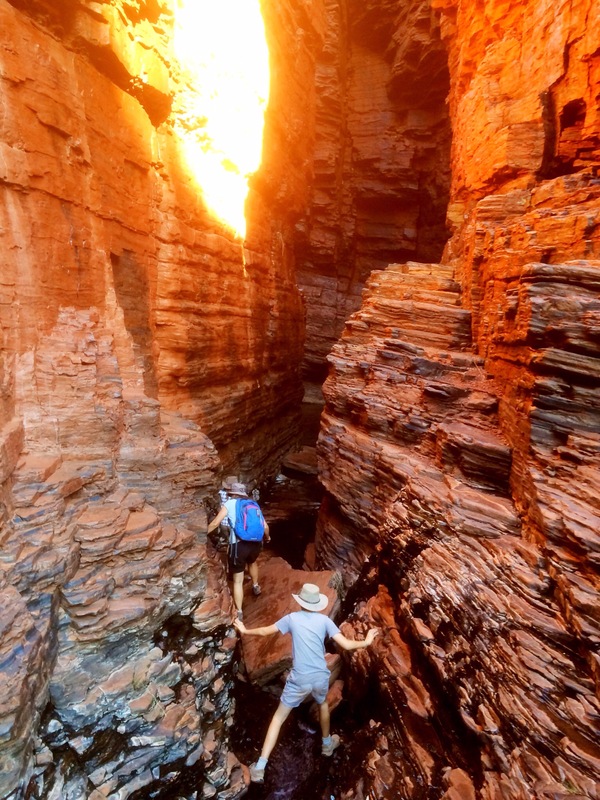 I would say no National Park quite does adventurous gorges like Karajini. For Hancock and Weano Gorges you have the choices of swimming through the freezing water or become mountain goats and try to walk along the edges. We choose to become mountain goats. It’s a bit hairy with lots of slippery rocks. Afterwards we learnt that a 19yr old German Tourist died in Hancock Gorge three weeks earlier. Life is fragile. For all of us, our days are numbered. This morning is pancake morning. Yeah! 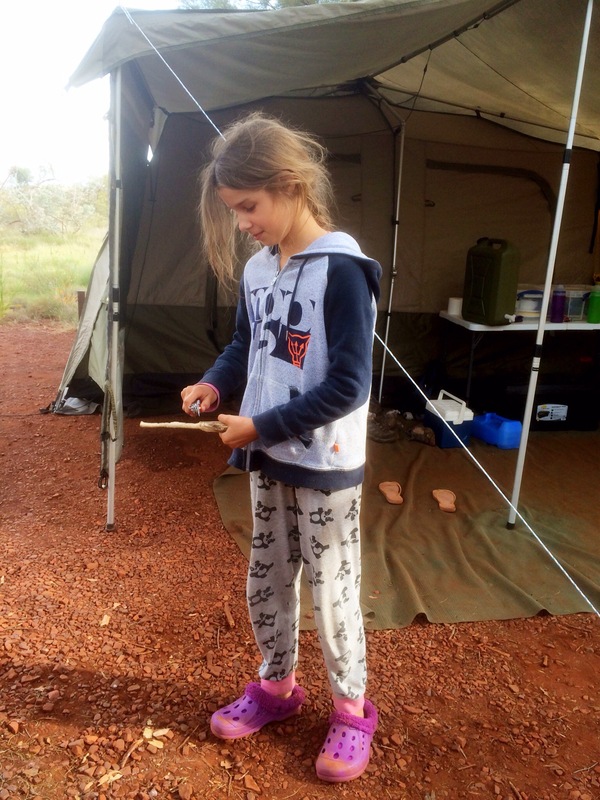 And Amelia’s been busy carving out a Harry Potter wand with her pocket knife. 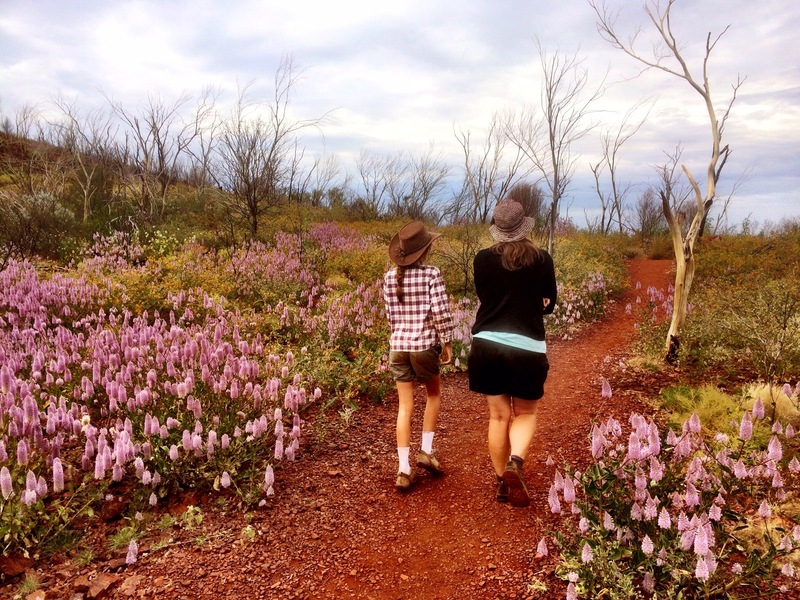 We pack up and drive out of Karajini but not before going to Mt Bruce and taking in all the windflowers. We also go to Hammersley Gorge which is stunning. 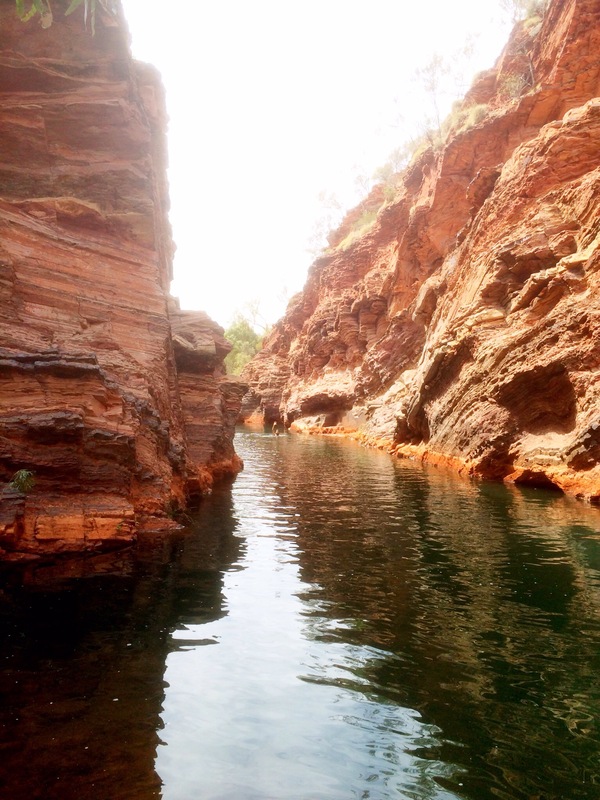 I swim up the gorge and the cold water burns but it’s worth it. 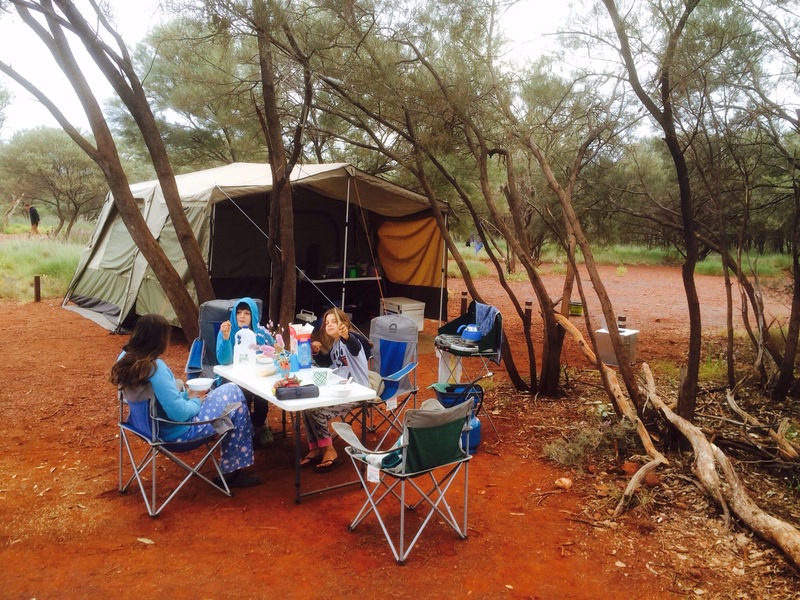 This arvo we’re going to Tom Price to stay the night at the caravan park. Lately Kirsty has been telling me I stink (I prefer to think of it as my natural manly musk) so we all need showers after 3 days. 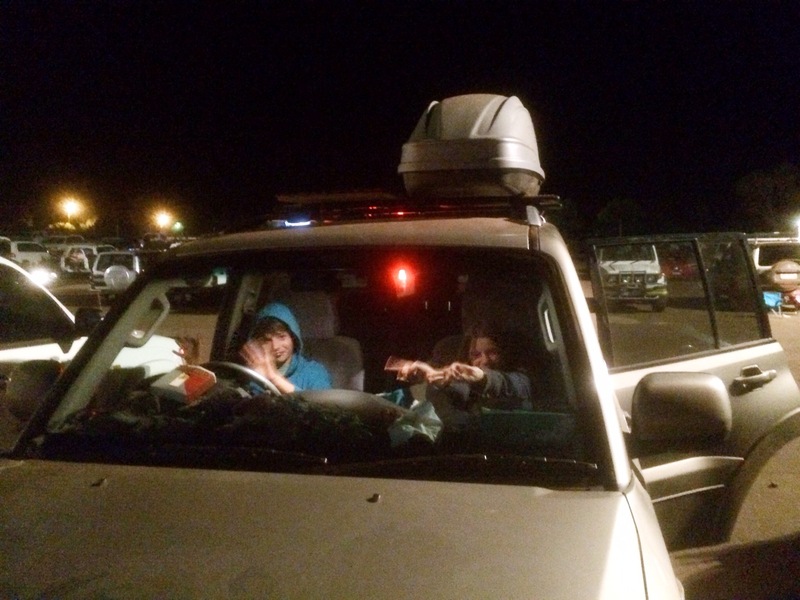 In Tom Price the Drive-In is playing tonight so thats where we go after we’re soaped and scrubbed. We see Inside-Out (again) and AntMan. It’s the kid’s first real superhero movie. More kids inducted into the Marvel movie franchise. Sigh. As I’m having coffee in the morning I hear a speeding car on the road outside the caravan park and then a crash. I along with some other blokes get to the site. I’m praying it’s not anything horrific. I thank God she’s out of the car, conscious and taking in that in-shock sort of way. She’s taken out a sign and some small trees. She’s begging that no-one call the police. But emergency services are called and I see the ambo’s and SES again. Life is fragile. Our days are numbered. Jesus gives hope and is King now and for all eternity. full-on beard=full-on manliness Kirsty! Embrace the advantage of wide open spaces and low population density and let your inner bush-woman out too! I fully expect razors to be tossed out and grooming for socially acceptable purposes to be put on hold (until you return…). 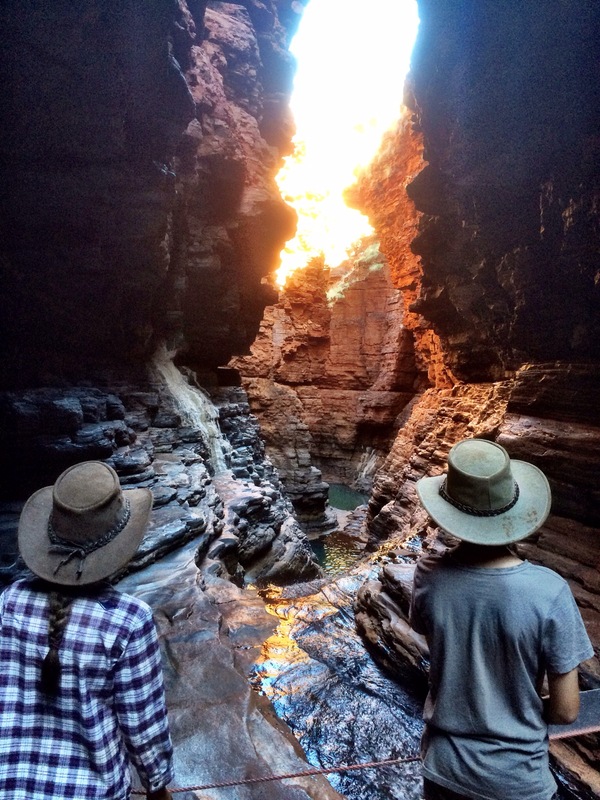 I’ve been waiting with much anticipation for you to get to the Pilbara and Karijini. 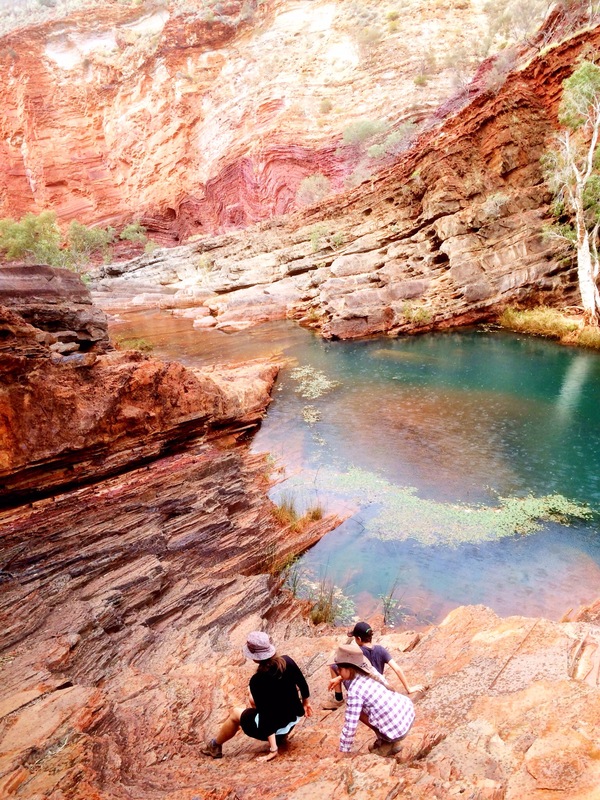 Vibrant colours and wild flowers and waterholes and those amazing rock forms. As far as I’m concerned, you could just do Ayers Rock and then be done with it now! But I guess you should continue to soak up the raw beauty of WA and each other 😊 Yep life is so fragile and yet tenacious and determined. My sentiments exactly Sal! Now at Nigaloo and a totally different but amazing experience. 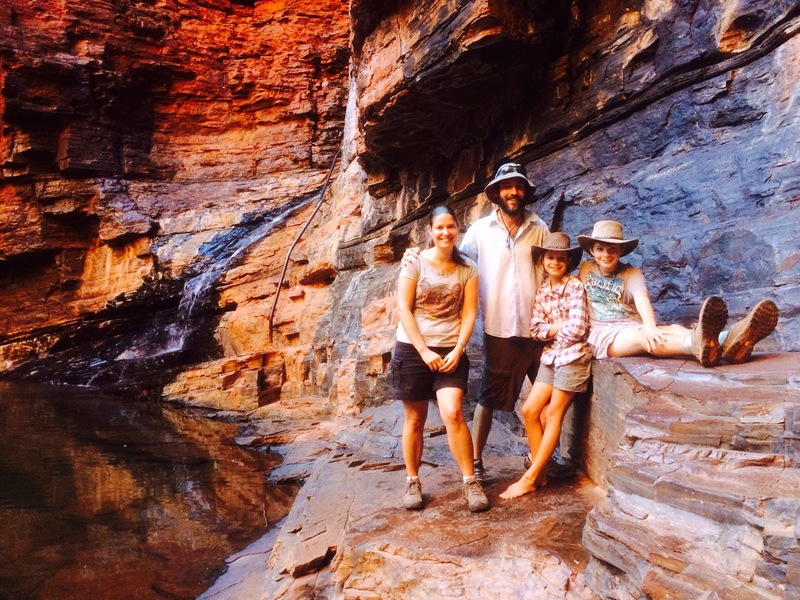 Your tour of Karijini has brought back many memories of my time in the region. Glad you enjoyed your time there. Good to explore you’re old stomping ground Dave! 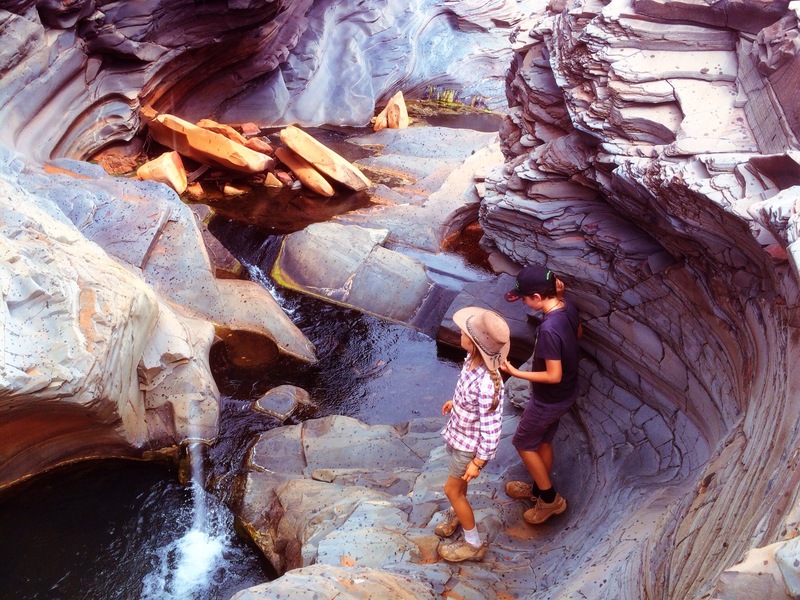 We spent 3 days at Karajini. We could have spent a week there. And Tom Price is a nice town too.